After getting his BFA in painting from the University of Texas, Robert Eberz worked as a set designer for the movie and television industry in Hollywood California. It wasn't until he was asked to illustrate an article for a children's magazine that he discovered his passion creating artwork for kids. Since then, his illustrations have appeared in children's books, educational material, and magazines. Robert loves to create artwork that is colorful and whimsical. He uses a variety of media for his art including watercolors, acrylic paint, and colored pencils. He also creates many of his images digitally and is as comfortable with his stylus and pad as he is with the paintbrush and canvas. At home, Robert (aka "Bobby") was born in San Antonio, Texas and has a sister named Laura, a dog photographer, and a brother Scotty who is a policeman. Together they grew up all over the United States, living in 16 different houses and 7 states throughout their childhood. He shares his studio with his pug "Sukie", and Rhodesian Ridgeback "Tyler". 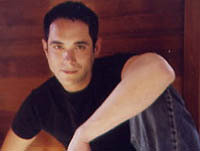 Robert currently resides San Francisco, California.